First 4 weeks Free Offer! Cryptic Quiz for a Quid! I have already created some of these as Themed packs and a list of these is included below. Just select the pack you require and I'll send these to you. So you have a particular theme that you want a quiz for? I can geneate this for you - just pay for it here and email me the details at gazzy@funpubquiz.com. You can specify the number you want on the payment page. These are a little more expensive as I have to create these from scratch. ENSURE THAT YOU PROVIDE ME WITH THE CORRECT EMAIL ADDRESS TO CONTACT YOU. OFTEN THE EMAIL USED ON THE PAYPAL SCREEN IS NOT THE ONE YOU REQUIRE ME TO YOU USE. NB: Please ensure I have sufficient notice for new packs (at least a week, 2 weeks if you can – the longer the better though﻿). This quiz packs is all things HP. Whether your quizzers are Hogwatians or Novice whitches this has something for them, all in the ususal FPQ format and style. This quiz packs is all things Disney and more. 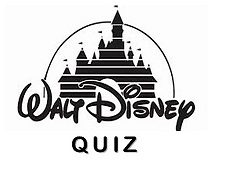 Whether your quizzers are Disney lovers or novices this has something for them, all in the ususal FPQ format and style﻿. This quiz packs is all things Friends and more. Whether your quizzers are Central Perk regualrs or novices this has something for them, all in the ususal FPQ format and style﻿﻿. This quiz packs is all things Drag Race and more. Whether your quizzers are C.U.N.T. or novices this has something for them, all in the ususal FPQ format and style﻿﻿. This quiz packs is all things Super hero and more. Whether your quizzers are Caped Crusder lovers or novices this has something for them, all in the ususal FPQ format and style﻿﻿. This quiz packs is all things Love Island and more. Whether your quizzers are Island lovers or novices this has something for them, all in the ususal FPQ format and style﻿﻿. This quiz packs is all things Horror and more. Whether your quizzers are Vampire lovers or Horrified by gouls this has something for them, all in the ususal FPQ format and style﻿﻿. This quiz is all things 1980s, 12 pop acts form the era and a cryptic quiz of pop. 40 questions all form thhe 1980s in the usual FPQ format and style. This quiz packs is all things Love and more. Whether your quizzers are Love lovers or celebate nun novices this has something for them, all in the ususal FPQ format and style﻿﻿. This quiz packs is all things Wimbledon and more. Whether your quizzers are Centre court pros or novices this has something for them, all in the ususal FPQ format and style﻿﻿. This quiz packs is all things World Cup and more. Whether your quizzers are Pele lovers or world cup novices this has something for them, all in the ususal FPQ format and style﻿﻿.